I’m expecting baby #8 in just a few short weeks and having the hardest time finding a name. We have 2 boys, Isaac Aiden and Levi Josiah. We have 5 girls, Jordan Grace, Eden Elizabeth, Selah Rose, Zivah Joy, and Petra Jayne. This will be another girl! Thus far our trend has been two-syllable first names each beginning with a different letter, and dad prefers something at least vaguely related to the Bible or Hebrew, but none of those are hard and fast rules we must stick with. A few names we’ve tossed around are Olive, Ruby, Esther, and Noa, and some possible middle names are Louise or Margaret, which are both family names. Any suggestions would be happily considered! This makes for a little bit of a name game, doesn’t it? Every time I think I’ve found The Name, I realize it repeats an initial. Or maybe the origins aren’t quite right. Still, I did find a few that satisfy your requirements and I think that’s the trick – to find a pool of possibilities that you and your husband can consider. I’ve avoided all names starting with E, I, J, L, P, S, and Z. But I’ve also tried to avoid other -a ending names, even though that’s not a rule of yours at all! It just adds some more options. Anya – It’s a form of Ann, by way of Russian. That’s a strong link to the Old Testament, as well as the New. And it offers a lovely meaning, too – grace. Celeste – Maybe this is too much of a stretch, but Celeste comes from caelestis – heavenly. That’s Latin, of course. But the King James version of the Bible, and many other translations, use the word celestial. (Others prefer heavenly.) So it’s not a complete leap. Chloe – Chloe’s roots are Greek, but the name does appear in the New Testament. Dinah – A great, underused Old Testament possibility. Marie – Okay, I know – it seems like it ought to be really common. Lots of women have Marie as their middle name. But as a given? It’s surprisingly rare. And it connects to Mary – again, far less common than you’d guess – and Miriam, so it’s Hebrew and Biblical, too. Rachel – I know. Rachel feels a little 90s, a name forever sipping coffee at Central Perk on Friends. Except it’s really quite the classic, an Old Testament name with a long history of use. Tamar – Another Old Testament name rare in the US today. Vera – I’ve avoided most -a enders, but Vera is too good to resist! It means faith in Russian and truth in Latin. The latter connects it to lots of phrases, like vera cruz – true cross. So while it misses your requirements for origins, I wonder if it still has the right spirit? From your list, I love Ruby and Olive – probably because they satisfy your requirements plus have a different ending sound, which seems ideal. But from my suggestions, I wonder if you’d consider Celeste? It’s not specifically Biblical – and it’s not Hebrew at all – but it feels like it’s in the same general space. Plus, it balances out the rarer names (Petra, Zivah) and the more popular ones (Levi, Eden). I know the community will have some great suggestions, so let’s turn it over to them. 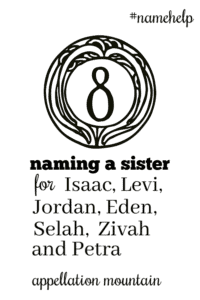 What would you name a sister for Levi, Isaac, Jordan, Eden, Selah, Zivah, and Petra? I love the idea of a Karis/Charis! Or maybe Chara (joy)? I love Ruth, Miriam, or Mary, and Octavia would be fun in the middle. Not many chances to honestly use that name! Best of luck with your new little one! I just thought of two more names. Korah – I also know a sweet young lady with this name and there is also a band named Sons of Korah. My first thought was Tirzah, however Olive completely fits your criteria as it is Biblical, two syllables, and its own initial. Esther is almost perfect…I just wish it didn’t repeat an initial! Same for Lydia and Susannah. I do like Rachel for you as well. And Olive or Karis. I would be tempted to avoid an -a(h) ending name, but with so much to take into consideration, I think it’s fine to be flexible with that. After all, if her name ends in -a, you’d have 2 daughters each ending in -‘n’, ‘h’ and ‘a’ (even though ‘a’ and ‘ah’ sound the same out loud). I think Olive is a great choice, as is Esther (if you can come to terms with the repeating initial). I also like Tamar from Abby’s suggestions (if you’re happy with the biblical connection), and Judith and Shiloh from the comments (again, if you don’t mind the initial). And Martha’s a great fit too. The first to pop into my mind was Shiloh since it’s another Biblical place name, if you’re willing to double up on S. I also like the suggestions of Miriam and Keziah. Congratulations on baby number 8! You are my opposite equal – I have 6 boys and 2 girls! A lot of my thoughts have already been mentioned below. I don’t know if it was mentioned but what about Micah. I know it’s a male prophet, but I know a very beautiful girl inside and out with the name. Esther is the perfect name imo. Sounds just different enough from your other kids and is so soft and pretty. Oops! You don’t have a Mateo! M is fair game!! It isn’t three syllables but I also thought of Naomi. Naomi Pax (pleasant peace). If you are willing to consider Tamar and Dinah, perhaps Rahab? I know there are some unsavory elements to her backstory, but she showed faith, courage, and intelligence and is also such a beautiful redemption story. Whereas both Tamar and Dinah are mainly described as tragic victims. Congratulations on number 8! Below are a few names that meet the requirements of biblical and/or Hebrew. — Adriel means flock of God in Hebrew and is from 1 Sam. 18:19. Okay 3 syllables but still a cool name. — Adah means assembly in Hebrew and is from Gen. 4:19. — Abigail means a father’s joy and is from 1 Sam. 25:3. Again three syllables but the nick name Abbey is two. I know a little one called Abbey Grace and she is adorable. Made me love this double name. — Myra is from Acts 27:5. Oh but that repeats Mateo! Another name that I think fits is Helen. It means light so there is a vague religious reference there. Plus it is similar to the ending of Jordan and Eden to balance out the a/ah ending of Zivah, Petra and Selah. Maren Louise. Then the boys share the long I, 3 girls have – a endings and 3 girls have – n endings. 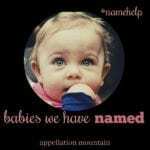 Other options: Naomi, Talia, Therese, Hannah, Mary, Marta or Martha, Corinne or Cora (for Corinthians), Ruth or Ruthann. Noa Octavia is so perfect! Or perhaps Magda Louise or Esther Pearl. I am loving Olive Margaret for you. Another idea is Carmel Margaret. I also love Phoebe Margaret, but it would repeat an initial. I need to suggest the name of one of my nieces! Her name is “Rinnah”, which derives from a Hebrew word for a “ringing cry of joy”. 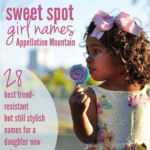 I’ve never come across this name outside of my niece! What about Vida? I see that it can be a form of David. I like the repeating d sound from Jordan and Eden and the a sound from the other girls. It also makes two n’s, two h’s, and two a’s for endings for the girls. Vida Louise? From the given list I love Noa. Noa Magaret. Ohhhh, I have to suggest two names: Octavia and Valo!!!! Octavia is Latin for eighth, and it’s a such a pretty name. Always wanted to suggest that name to someone who is expecting 8th child but that’s a rarity! Valo is Malagasy word for eight. Unfortunately, being deaf, I don’t know if they fit the naming restrictions you have, but I had to share these names. May I tell you your other children’s names are so lovely? I love finding a family with well-named children. I would be very Very tempted to put Octavia in the middle. If you’re willing to consider the deutero-canonicals, there’s also Judith and Susannah, who were both strong and courageous figures. A couple of other ideas for name-searching the Bible: In ancient Israel, it was the king’s mother and not his wife that was the real powerhouse at court. If you go through the kings of Israel and Judah mentioned in the Old Testament, they’re usually listed along with the name of the queen mother. Granted, many of the kings were wicked, but there are at least some good ones from Judah and you might look at their mothers’ names. You might also go through the Psalms and Song of Songs and look for place names with romantic or poetic associations (Ophir is my favorite). You can also take your favorite word or virtue names and look up the Hebrew translations to see if any of them are pretty and wearable. MIRIAM!!!!!!! My second choice for you is Olive. 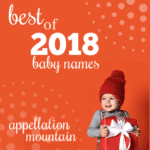 It is a gorgeous name. If you wanted to fancy it up a little to match your more rare names, you could go with Olivet or Olivett. Then you have the nns Vett or Olive. Good luck!! I also have eight kids (one is named Miriam, so I am a little biased there). It is awesome! Gosh Zivah Joy makes me happy, what a lovely pairing. My first thought was Tirzah. Tirzah Margaret. I think Tirzah is my favourite, followed by Talitha and Adara.